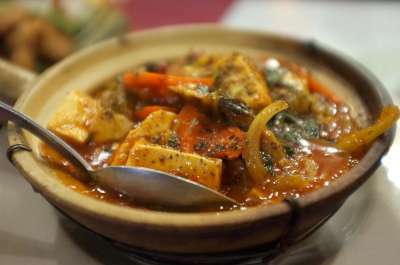 Merit Vegan Cuisine is 100% plant based and has been in Sunnyvale since 2007. 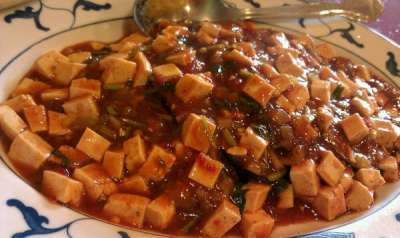 They serve freshly-prepared Aulacese, Chinese, Indian, and Thai dishes. Merit uses high quality, organic ingredients whenever possible. The owners encourage and support a compassionate way of living that brings peace and happiness to our world. 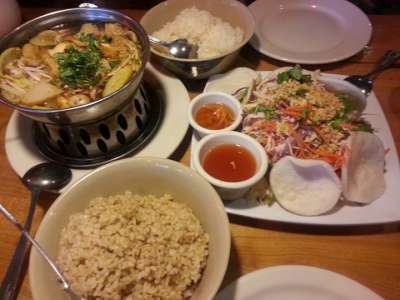 Great Vegi Land in Sunnyvale, CA serves 100% vegetarian food that is homemade from fresh, local produce. 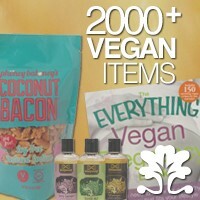 They do not use any animal products at all. They don’t use garlic, onion, milk, cheese, eggs nor canned goods! Great Vegi Land is closed on Mondays. 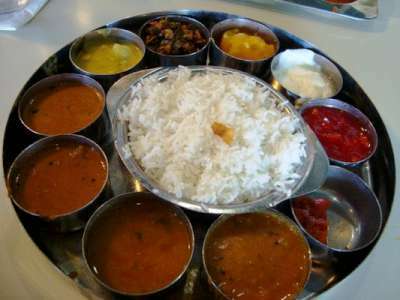 Madras Cafe has flavorful, fresh vegan South Indian food in the South Bay. It’s also inexpensive. 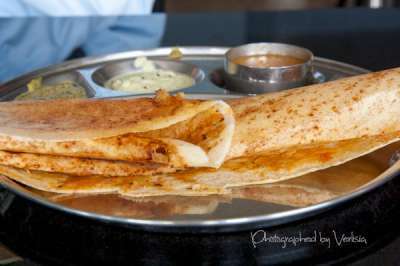 Try the masala dosa – it’s thin, crispy and perfect! I love this place! They have so many tasty dishes. The fresh spring rolls are the best that I have had. The papaya salad is to die for!